The Meliá Las Américas Hotel received the Environmental Star from the Ministry for Science, Technology and the Environment. 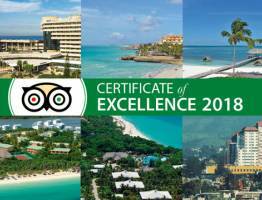 This recognition rewards the establishment’s efforts to ensure responsible use of its surroundings and beach area. 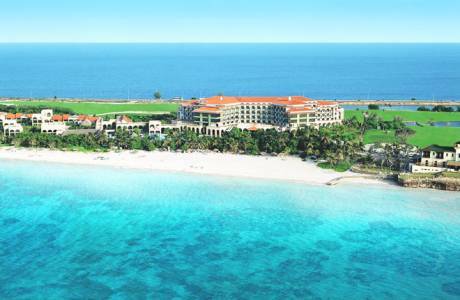 Located in the famous Varadero resort, Meliá Las Américas is a home from home for golf lovers. An intimate setting, elegant design and extraordinary sea views are the key features of this Five Star Adult Only Resort. Just a stone’s throw from the Plaza América Conference and Convention Centre, it’s the only hotel with direct access to the Varadero Golf Club offering special facilities for golfers. The hotel’s services also include a modern, exclusive floor called The Level for travellers seeking a luxury experience. As the Meliá Cuba chain and its establishments are committed to the protection of the environment, environmental protection actions are prioritised. And as environmental protection forms part of the hotel chain’s strategy, these actions are implemented through internal policies and measures. This recognition is proof of the commitment shown by the company’s hotels to become environmentally aware and treat the environment responsibly.